iGO, the ride-hailing company by Famalco Group. Since the introduction of ride-hailing in the global transportation market, including Malta, much deliberation and consideration by the public into the use of the service versus the traditional use of privately owned cars has been conveyed. Ride-hailing could easily be considered as the modernisation of traditional chauffeur-driven taxi services. Customers are able to hail vehicles, locate drivers and view prices beforehand, and this is all done through the simplicity of a single downloadable app. Admittedly, the majority of the local population own and drive private vehicles mostly due to the limited route reach of the public transport services. 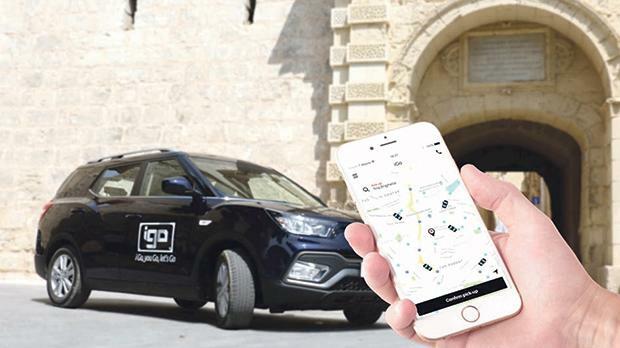 Although relatively new in the local sector, ride-hailing has steadily become an increasingly popular niche in the Maltese mobility industry. Much of ride-hailing’s popularity over traditional ownership stems from three highly sought-after fundamental characteristics: safety, economy and easy accessibility. Through these crucial attributes, newer ride-hailing companies, such as Famalco Group’s iGO, offer their customers an excellent transport alternative over car ownership. Safety plays a major role in general transportation, a factor taken into consideration through ride-hailing. The use of this service, especially during the evening, may serve as a way to lift constraints on an enjoyable night out, where the ride-hailing service becomes the night’s designated driver, avoiding any un-fortunate accidents. The service always provides customers with attentively assessed drivers, whose visible user rating is on display guaranteeing professional service at all times. Economically impactful benefits brought on by ride-hailing services are not to be taken lightly. Ride-hailing initiatives offer fantastic incentives for any enterprising drivers who are looking for full-time or part-time employment within the mobility industry. Worldwide, the ride-hailing phenomenon is changing the population’s mindset with regard to owning their own vehicles. For many individuals the daunting prospect of buying a vehicle, insuring it yearly and constantly maintaining it has somehow become questionable. Ride-hailing provides a solution to these individuals as it allows them to commute easily and affordably. As a direct correlation to the rising Maltese population in recent years, the number of vehicles on the road has increased, resulting in high levels of traffic congestion. A part-solution implemented by ride-hailing companies is the introduction of ride-sharing. This concept is a carpooling initiative which shares the same objective as ride-hailing, where while the customer rides towards their destination, other individuals heading in the same direction may be picked-up along the way. The ride-sharing service proves to be a great approach in consideration to the number of cars on the road, reducing the environmental impact and ride costs. A clear advantage over private car ownership is the service’s incredible convenience. With constant improvements always being done, customers can easily use the service to arrive at their destination within minutes, without the worry of parking or hustle and bustle of driving. The ride-hailing services can also postively impact the lives of those unable to drive due to restricted mobility granting them independence from public transportation, friends and family. Overall through these benefits, the surgence in popularity of ride-hailing proves that this service is more than a viable alternative over private car usage. With exciting new ride-hailing ventures like iGO, it is only a matter of time before the ride-hailing model becomes more accessible and available for anyone to use around the island. For more information, call 2339 2339 or visit www.Famalco.Net.